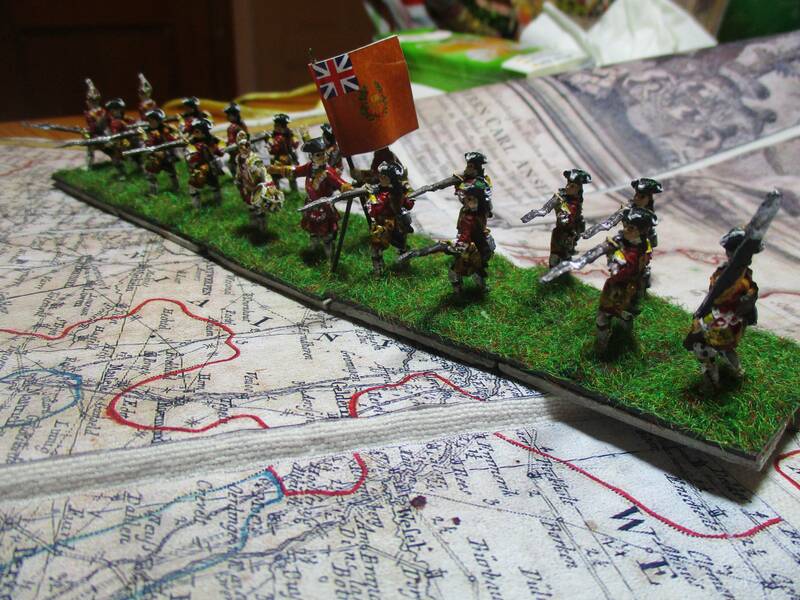 This is my first unit of a small british force. You may notice the hat on the drummers head. 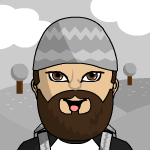 I forgot the mitre cap and on the other hand it's difficult to change heads. Therefor now the poor drummer lost his mitre cap and get a ordinary hat of the dragoons. These are the Inniskilling dragoons. I've Chosen them because they fought in every major battle. For example they were at Rocoux. I painted two commanders for my british Brigade. On the left the commander of my cavalry. I used a painting of Major-General Charles Howard as inspiration. On the right I painted an officer of Pulteney's Regiment. The figures are completely different. Howard is a plastic figure by Revell mounted on a Zvezda-horse. Harry Pulteney with his horse are metal and from Schmaeling. Nice unit, thanks for sharing. 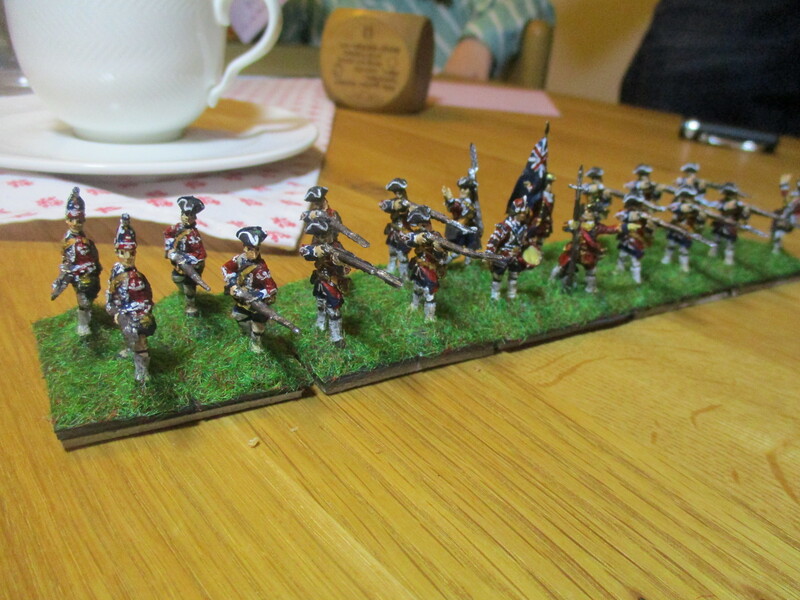 I painted my last unit of my small anglo-hanoverian cavalry force: the Queen's dragoons. I have to say, that I don't like the White cuffs and waistcoats. I think that they are looking a bit dull. 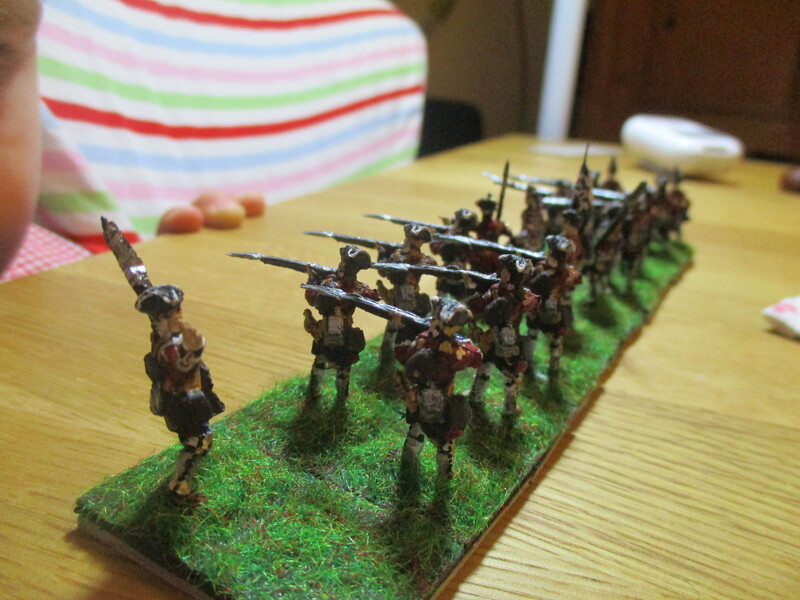 But now I'm ready to field enough of pragmatic cavalry for my Rocoux and Dettingen scenarios. They look good. 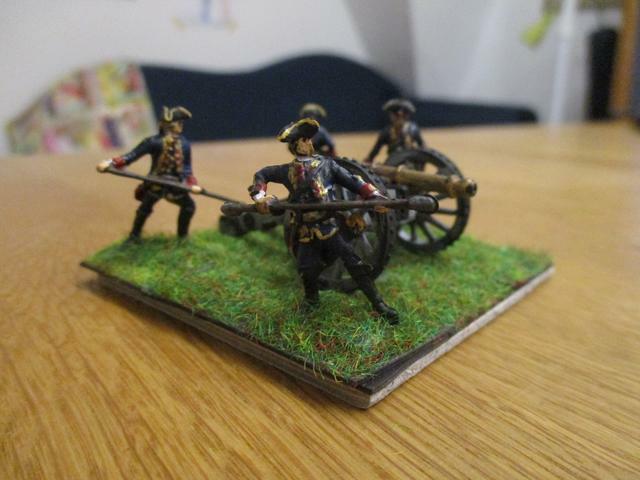 Despite being British, I can't seem to get enthused about painting a British force - much rather go for Russians in red. 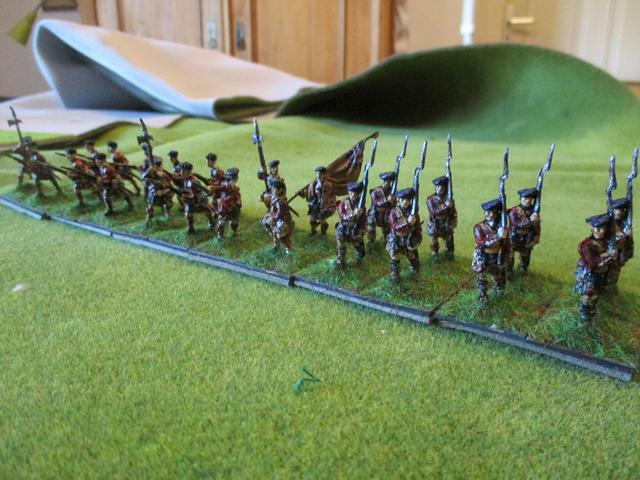 My first regiment of british infantry: Pulteney's. A very fine Regiment, which fought at Dettingen, Fontenoy, Rocoux and Lauffeld and served in Scotland too. They look terrific, especially those grenadiers. Although there are some problems with the mould, I really love the poses, for example the drummer and officer. 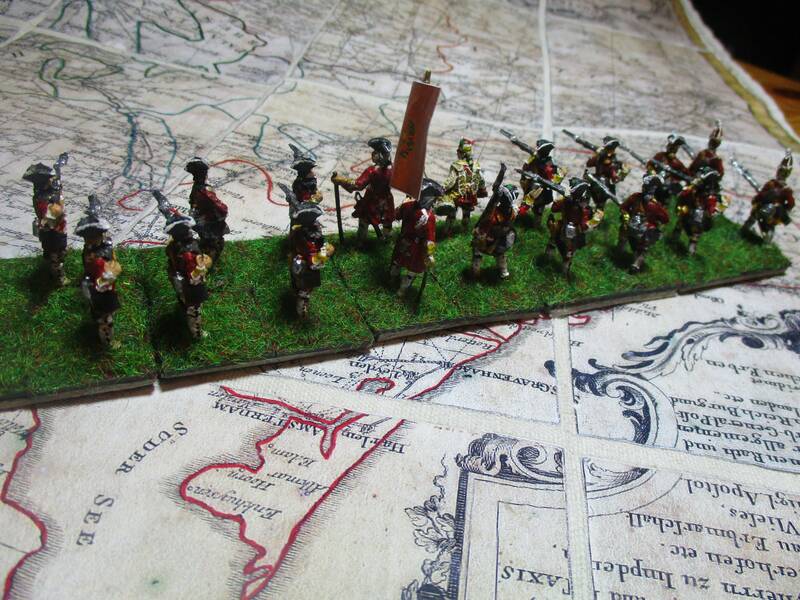 The 43rd regiment or the highlanders. Figures are by RedBox. The drum is on the wrong side, but I really like the faces of the officer and the sergeants. Looking really good. Nice to see some jocks on the site. Good job and a valuable addition to your collection! Cheers! The Armstrong M1736 6pdr. canon. 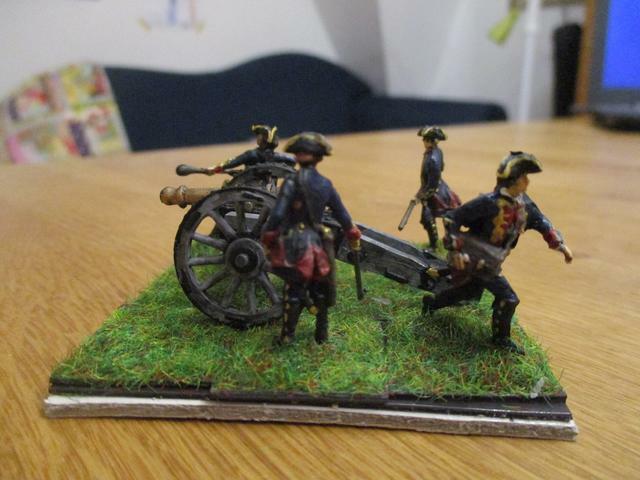 Figures from Revell, gun by Lancer Miniatures.